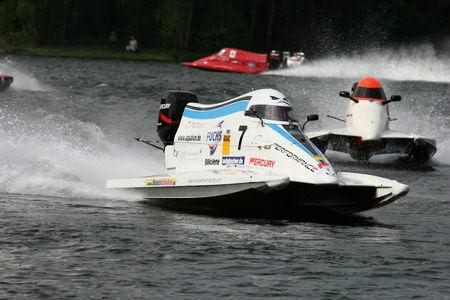 2D Datarecording has identified the need for a reliable data recording KIT to be used in all boat racing classes with a Mercury engine. This Plug & Play KIT gives you a professional data recording system to analyze driving style and improve your laptimes. The KIT Boat consists of a high end logging system that records speed, lateral and longitudinal acceleration, RPM, trim angle, driving line and lap time. A display, Plug & Play wiring and software complete the KIT Boat. The display shows laptimes, speed, RPM and trim angle. The LED lights indicate the top speed so that the optimum trim angle can be chosen to reach top speed at the RPM limit. Tests have shown that this can make a difference of up to 5 km/h which the driver otherwise would not have been able to feel. The KIT software shows all recorded data. With the GPS all parameters can be compared easily. 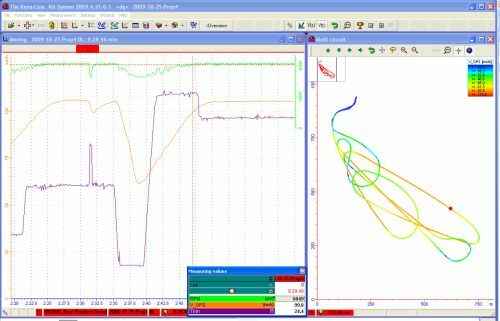 By analyzing RPM and speed different propeller configurations can be evaluated to find the right prop for the current track layout. 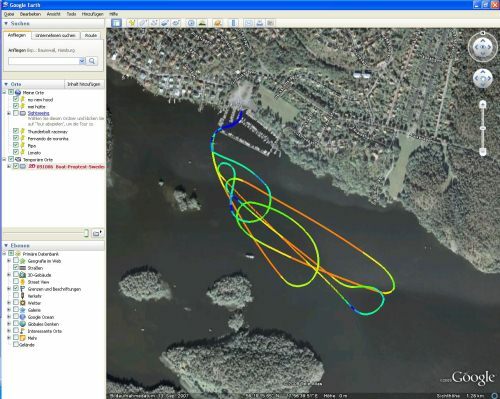 Via Google Earth it is possible to visualize the driving line and find the best way around a track and compare driving styles. The speed of boat can be plotted into the driving line to see where top speed is reached or how fast the boat is in corners.